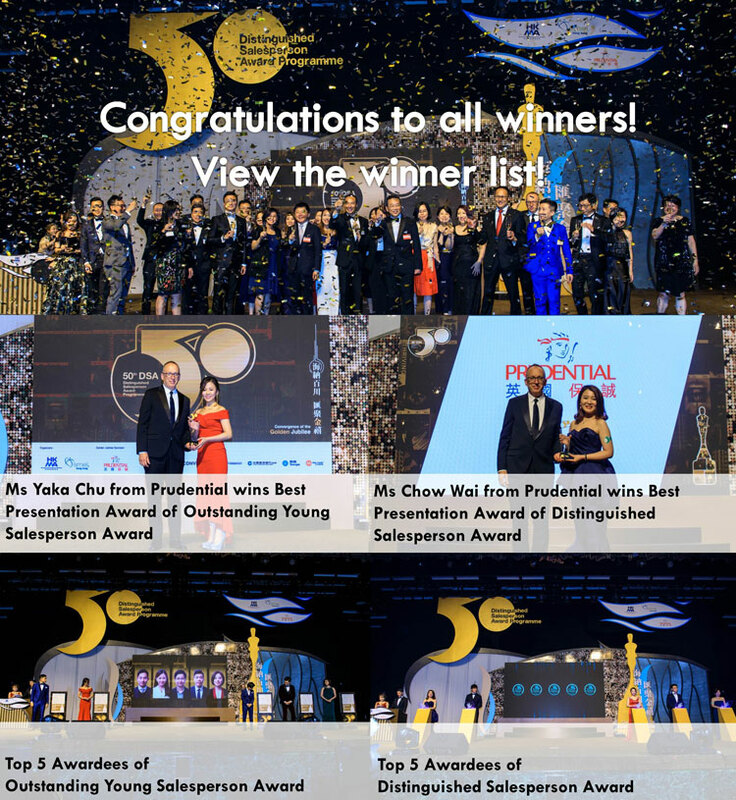 The Distinguished Salesperson Award (DSA) Programme now comes to its 51st year in the territory. It originally launched in the United States in 1950, is organized annually in Hong Kong under the sponsorship of the Sales and Marketing Executives Club of The Hong Kong Management Association (HKMA), in conjunction with Sales and Marketing Executives International of New York (SMEI). The SME Club was set up in 1966. 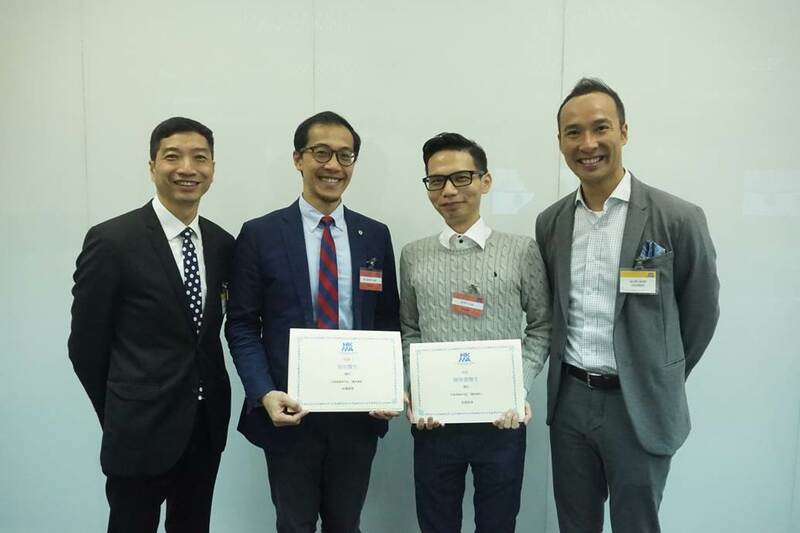 It is affiliated to the Sales and Marketing Executives International (SMEI) of the United Sates, and is one of the nine specialist clubs operating under the auspices of the Hong Kong Management Association (HKMA). 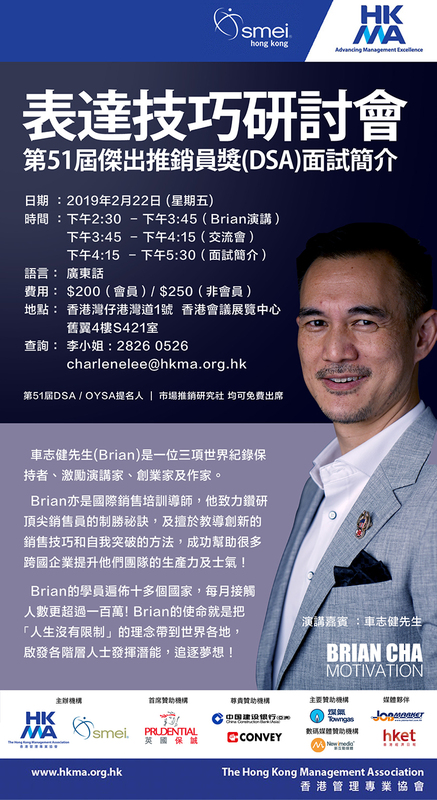 SME Club Membership is open to all persons who are members of the Hong Kong Management Association and are executives responsible for the planning of sales/marketing, administration of policies or management of salesmen, and to instructors in marketing and salesmanship in educational institutions. Like our Facebook page to know our latest updates!